For a trouble-free move, trust our West Hollywood movers to deliver a great customer experience. Our professionally trained student-athlete movers are ready to get you into your new home quickly and easily. Nestled in Los Angeles County, West Hollywood is a relatively young city in California. This progressive city was formed in 1984 as a conglomeration of various unincorporated areas within the greater Los Angeles area. Bordered by Beverly Hills, West Hollywood is entirely surrounded by Los Angeles but still stands as a distinctive entity. When considering a move to this city of 35,000, it is important to invest in the best West Hollywood movers available. West Hollywood may not have a long history but in the years since its inception, it has made a name for itself thanks to its iconic sites and progressive laws. West Hollywood has some of the most innovative laws regarding workplace discrimination and has passed some of the earliest legislation to ensure green construction projects. The city has some of the most progressive laws regarding pets, empowering dogs not as pets but as companions and outlawing the declawing of cats. Beyond that, West Hollywood is also home to the famous Sunset Strip which hosts a variety of fashionable shopping option. With all this, it is no wonder that West Hollywood is a popular place to live. In order to make your move to this California city easier, it is important to choose the best West Hollywood movers available, Meathead Movers. With over fifteen years of experience in California, Meathead Movers is equipped to handle any moving task. Our employees can help with everything from packing to storage and are readily able to complete local or long-distance moves. Meathead Movers is the ideal choice for residential or commercial moves, and even offers a distinctive moving concierge service to make the process even easier. All our student-athlete movers are thoroughly screened and trained before their first move. Meathead Movers can also offer service seven days a week, and all employees practice the HUSTLE difference by jogging on the job when not carrying anything. 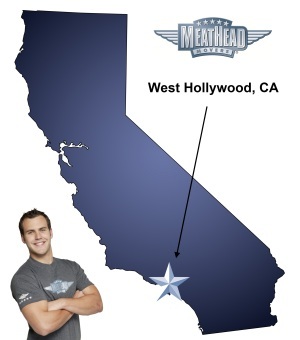 Ultimately, Meathead Movers is the very best of all West Hollywood movers. For a free quote, please contact us today. With our 100% satisfaction guarantee, the only thing you have to lose is the stress that comes from moving! Moving to West Hollywood? Here are some helpful resources. View more West Hollywood resources. The movers were a little late (due to traffic) but were very apologetic. Once they started working, they were very efficient and courteous. They got the job done as quickly as possible and left everything where I specified. great team, super helpful, nice to my kids, helped us keep costs down!